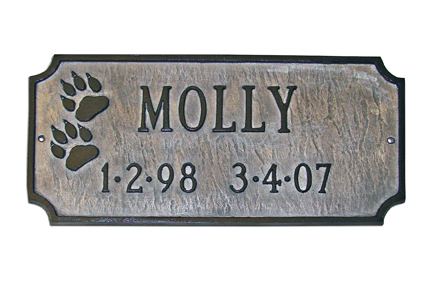 This dog memorial plaque is hand cast of sturdy, rust-free recycled aluminum. 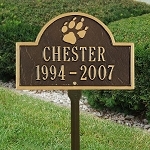 The memorial marker is available as a wall mount and a lawn mount. 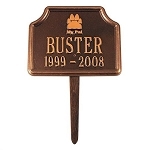 Two 23" stakes are included with the lawn style. All hardware is provided. Made in USA. 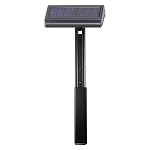 - Line one holds up to seventeen characters. The size will be 1.5" - 2", depending upon the length of the name. - Line two holds up to seventeen characters. Antique pewter can change in hues. Please see the Image Gallery.